I grilled all of my bread over an open flame first for a richer flavor. Steam the peeled sweet potato until soft. Mash with a little Earth Balance with a fork until smooth. Meanwhile, fry up some tempeh bacon in olive oil. 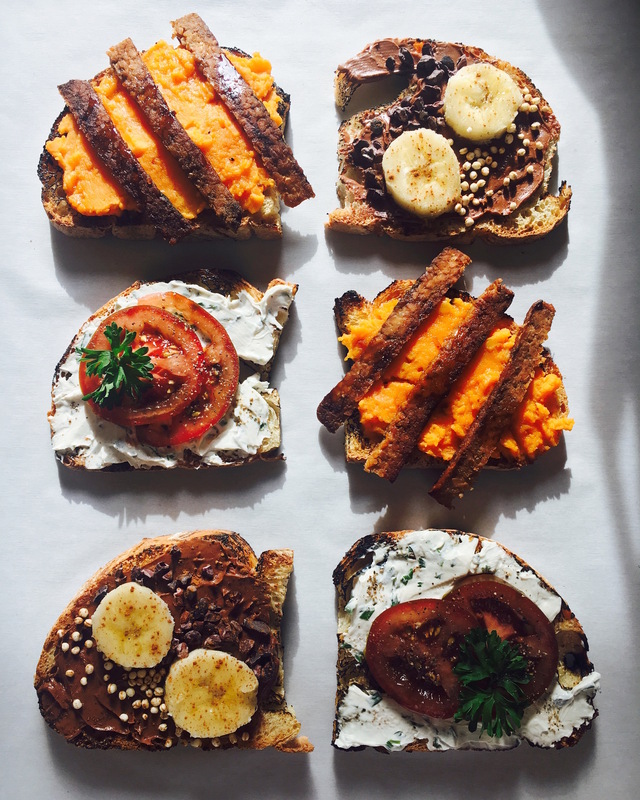 Spread sweet potato over bread, top with tempeh bacon strips and drizzle with maple syrup. Spread vegan nutella on toast and top with banana slices, quinoa puffs, cocao nibs and sprinkle with cinnamon.